NIFS parking is located in the Riverwalk Garage. Traveling East on New York Street turn right onto University Blvd. Stay on University as it curves around. You will come to a stop sign. Go straight. NIFS garage entrance will be on your left (the SGE (Riverwalk) garage). Traveling West on Michigan Street turn left onto Blackford Street. Continue on Blackford until you come to University Blvd. Turn right on University Blvd. Continue on University. NIFS parking garage entrance will be on your right (Riverwalk Garage). Visitors please pull a parking ticket and bring it into NIFS. We will supply you with a parking pass for the time you are at NIFS. 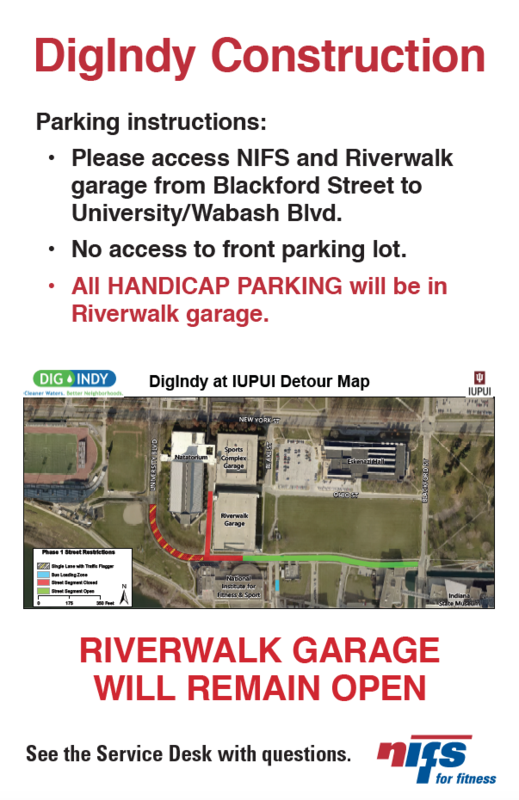 There is no NIFS Parking available in the IUPUI Sports Complex Garage on Ohio Street. 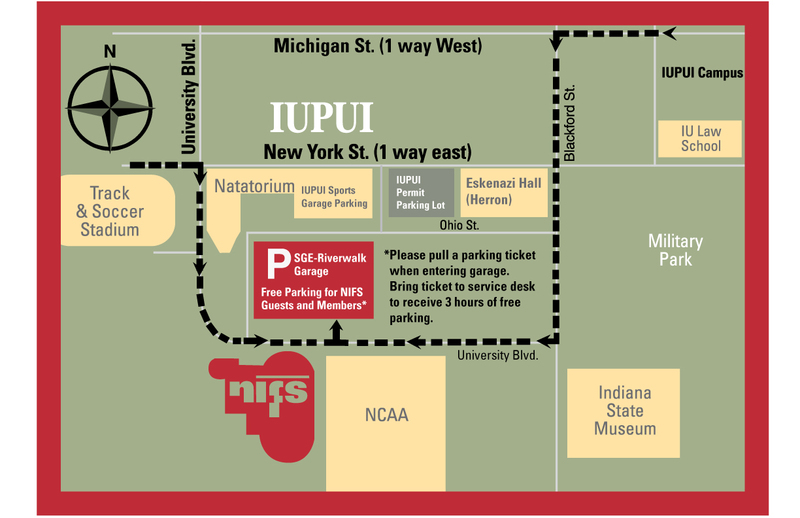 If you have an IUPUI permit you must park in an IUPUI designated spot ONLY, even if your permit is activated for NIFS usage. Do not park in NCAA spots between 8a-5p Monday thru Friday. Outside these hours, you can use these spaces. Weekend parking available on all levels. The garage is owned and operated by IUPUI. NIFS is not responsible for parking tickets issued by them. If you feel you received a ticket in error please contact IUPUI parking services.